Gorilla Grow Tents are beyond doubt the tallest, thickest, strongest and most versatile grow tents in the indoor garden industry. They are the first tents that you can extend the height of the grow tent allowing you to increase your grow space within minutes. They are also designed with the thickest material to avoid rips and create the best insulation for the indoor growing environment. In addition, the all metal pole frame allows an indoor gardener to hang up to 300lbs of components from the top of the tent. Finally the Gorilla Grow Tents have tool pouches,double locking air and component port holes. Are Gorilla Grow Tents Worth The Money? Lets be honest here. Yes they are worth the money especially if you are planning on growing weed in a tent for any length of time. If your situation is temporary you might get by with a cheaper tent at least for a while. Will Gorilla grow tents out yield a cheaper grow tent? All things being equal the answer is no. But if your cheap grow tent has or develops light leaks or your hood and fan come crashing down because the frame can’t support the weight the answer is a definite yes. Why Buy Gorilla Grow Tents? Are They Worth It? Your grow tent is your plants home. If it fails your crop will be lost. When growing a high value crop like weed you don’t want to lose it. You also want a tent that will last crop after crop and not just a growing season. You can buy cheaper grow tents than Gorilla that’s for sure. But you get what you pay for. Most cheaper tents do not have an all metal frame and the few that do aren’t anywhere near as strong. The larger the tent the more critical the strength is. 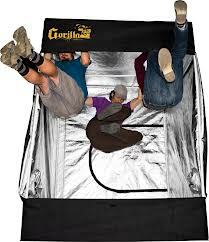 It is common to use air cooled reflectors in a grow tent to help keep temperatures under control. Because they have an added glass pane most of them are fairly heavy. Carbon scrubbers are common items in grow tents also and they can be extremely heavy. Plus you will want a fan. All this can put a heavy load on the top of your tent. 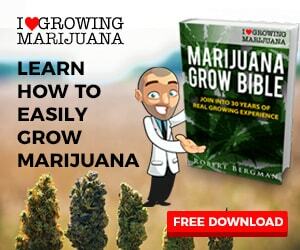 I have read reviews of cheaper grow tents where they have collapsed on the crop either from the weight itself or from failing connectors. This is not only dangerous and a fire hazard but also can be deadly for your crop. Gorilla grow tents can hold up to 300 pounds of equipment, more than you will ever hang but it’s nice to know you don’t need to worry about the weight. Stitching and zippers are also important things to consider when buying a grow tent. If your stitching doesn’t stand up or your zippers break your grow tent becomes pretty much useless. Gorilla uses the strongest fabric of any manufacturer and the best zippers money can buy. Gorilla grow tents can be extended to as much as 10 feet tall. If you have ever grown a crop that turned out to be taller than expected it is nice to know with the extension kits you will never run out of head room. Gorilla tents offer 360 degree access which will make working inside much easier. In a crowded room or hard to get at or tight space this can be a godsend. Other niceties include tool pouches and viewing windows so you can see whats going on inside without disturbing the growing environment. Gorilla tents also have 10 inch vents in case you need to run larger ducting. There is a reason why Gorilla Grow Tents were voted best grow tent the past 3 years running and it is that they are simply the best. When you are growing problems can come up, don’t let your grow tent be one of them!